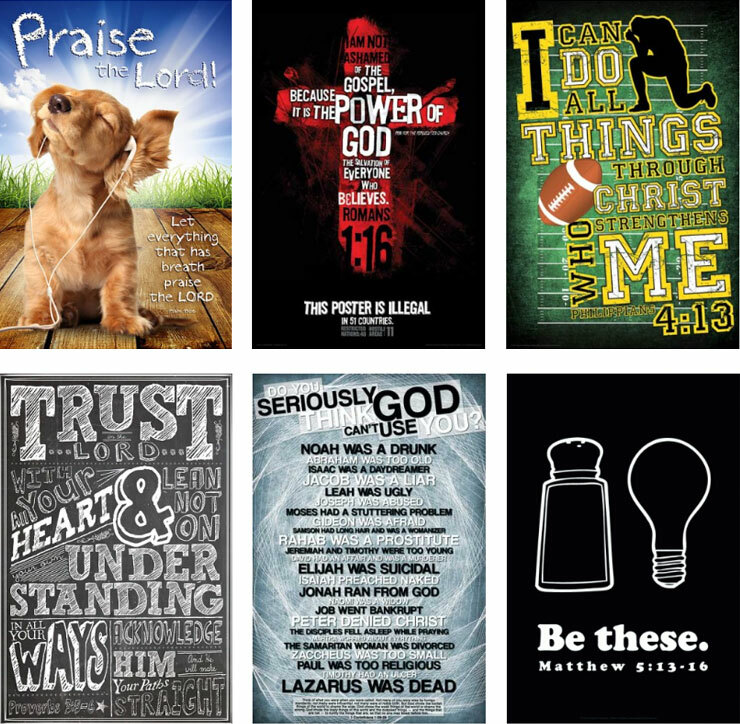 » Christian Posters For You! 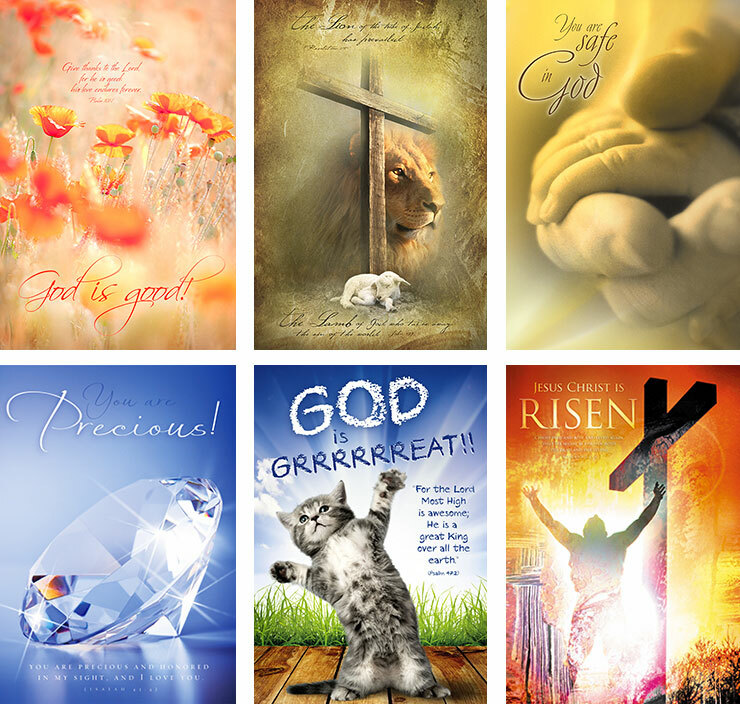 Christian posters bring more of God in your life! 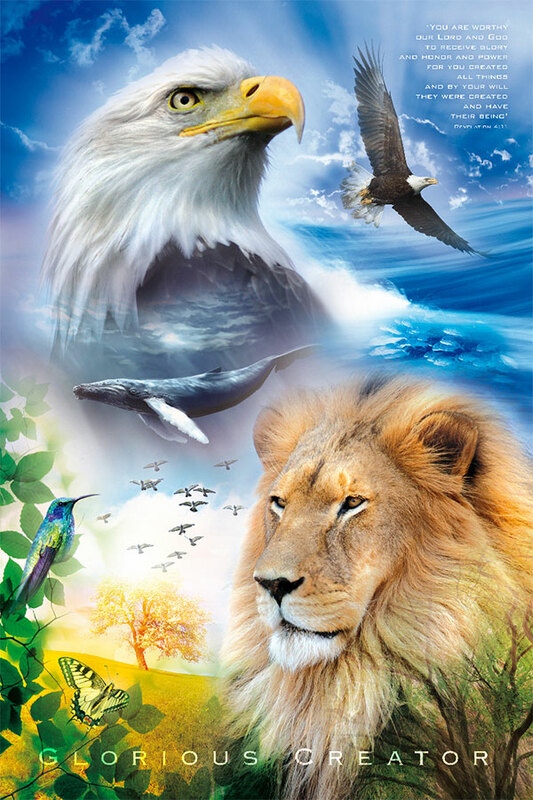 With my christian posters I show something of the incredible beauty and power of God. He is so extremely beautiful: full of life, joy, peace, love, freedom and so much more. God is truly the most fascinating reality there is. However most of the christian art I had seen in my life, showed God in a very old fashioned and boring way. It causes people to pull away from God instead of become passionate about Him! Therefor I created a new kind of christian posters, to show the world how amazingly wonderful Jesus Christ is. 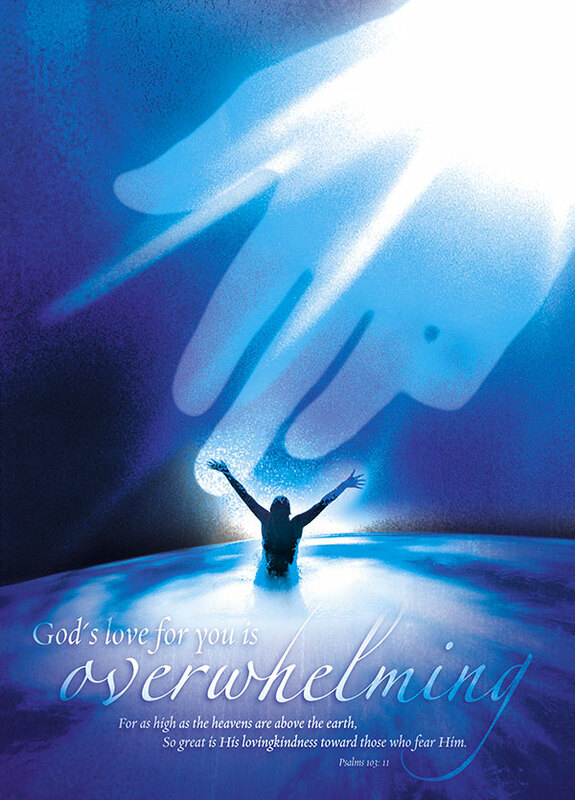 One of the first christian posters I designed, shows the overwhelming love of God for you and me. He lifts us up out of the depths of the darkness of sin and despair and surrounds us with His grace and goodness. His hand is always reaching out to us, to show us how He cares and to strengthen us. This became one of my all time favorite posters. Another poster I created shows what God did for us, and how we should respond to Him. God became a human being, just like you and me and He… died for us! He literally gave His own life for us, so we could be forgiven set free and brought home n the arms of the Father of love. Wow… My response to this incredible love is that I not only believe in Him, but I also lay down my own pans and want to live for Him. I wasn’t to sow the world who God is, how great His love is for everyone and ow they can be saved as well. 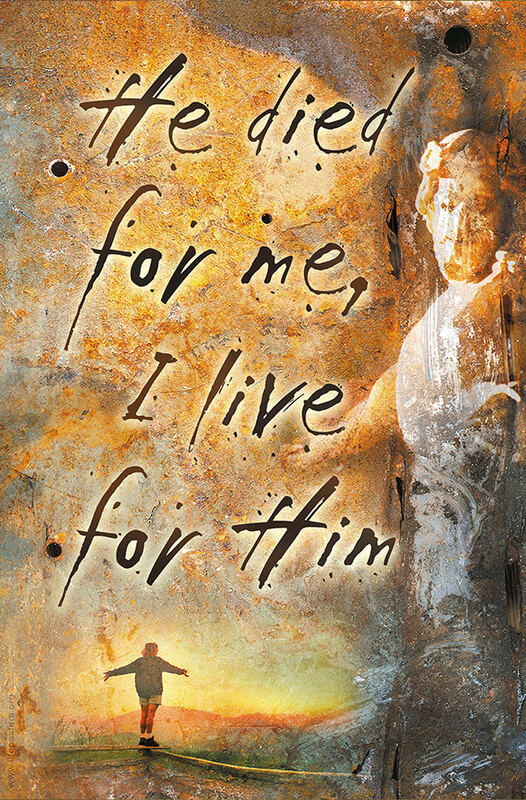 This poster shows it in a very powerful way: He die for me, I live for Him. He gave us new hope, new life, new freedom, new identity and destiny, purpose and a future… We owe it all to Him! This religious poster expresses one of the most powerful and important truths we can ever learn: when we stop striving in our own strength, stop trying to figure it all out, stop working as slaves or running around like crazy, but when we lay down, rest and wait on God, then He will lift us up and bring us into His destiny for our lives. Learning to surrender to Him, rest in Him, live in His peace, and trusting Him is a tremendous key for breakthrough and victory. Satan loves to chase us and exhaust us by letting us run constantly, until we drop down. 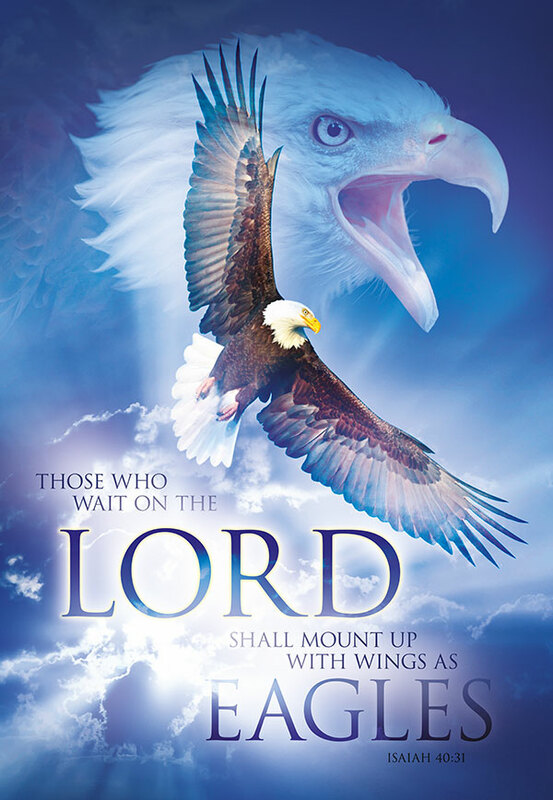 But when we fix our eyes on Jesus Christ and wait on Him, knowing He is working on our behalf, then He will renew our strength like an eagle and we will mount up with wings as eagles. One day He showed me His burning heart of love for the world. 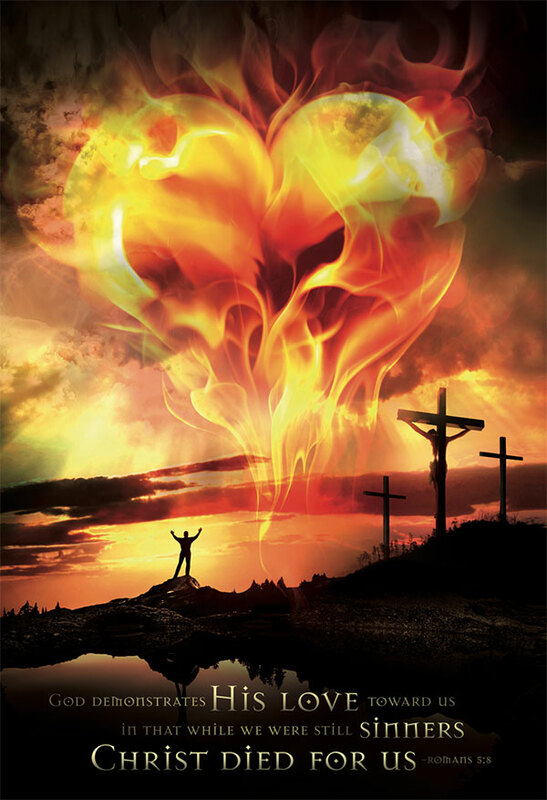 I prayed about it and saw this image in my spiritual mind: a huge burning heart above the cross of Jesus Christ, showing the very reason why Jesus died on the cross. Not because He had to, but because He loves you and me so much. 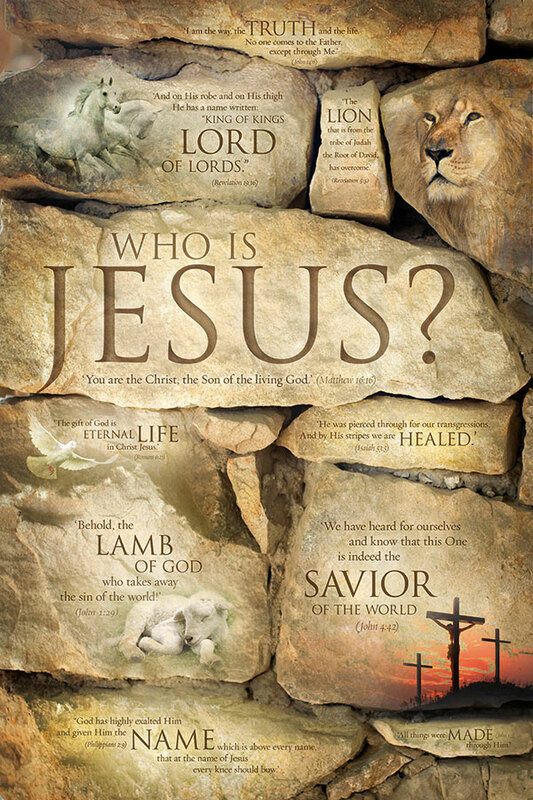 Christian posters: WHO IS JESUS? Another time the Lord spoke to me to create a poster with some of the most powerful characteristics of Jesus Christ to help people experience the fullness of Jesus in a deeper way. This Jesus poster is the result. 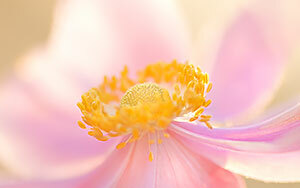 I also had the deep longing to sow the amazing glory of God, in creation. 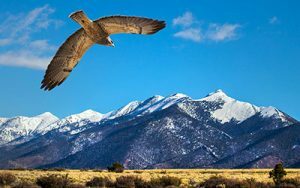 The western world is influenced with the horrible lie of evolution, fooling many to believe there is no God an all the majesty we see in nature is the result of blind, random chance. 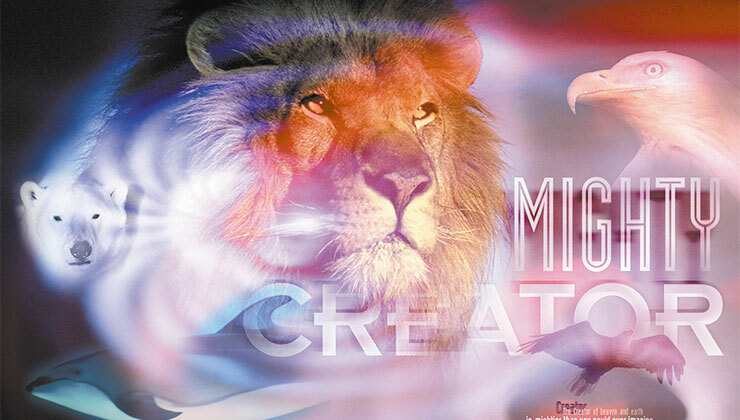 So I created a religious poster that expresses the indescribable beauty of the God who created heaven and earth. Because I am forever thankful that the Lord filled me with His Holy Spirt, who helps me know God as my loving Father, I wanted to help christians worldwide to be reminded of this wonderful gift of the Father. So many christians only have an intellectual relationship with God, without experiencing His presence and closeness in their life. When we open ourselves to receive the Holy Spirit, then He begins to open our spiritual senses, so we can encounter God much more. 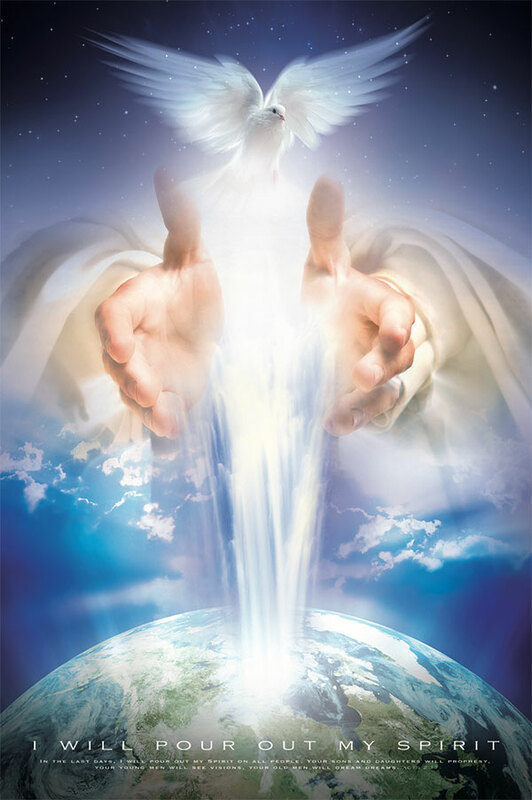 That is what this christian poster shows: the hands of Jesus Christ, pouring out the Holy Spirit on all flesh. That is you and me, those who truly want know who God is, experience His presence in a very real way and become a bright light in this world, that needs Him so badly. I also know God as very powerful and impressive, sometimes even terrifying because He is so strong and majestic. The Bible calls Jesus Christ the Lion of Judah and the prophets of the Old Testament compared the Lord with a roaring lion, who devours evil. Many christians only know Jesus Christ as the Lamb of God or even as the Good Shepherd, two well known metaphors for Jesus. 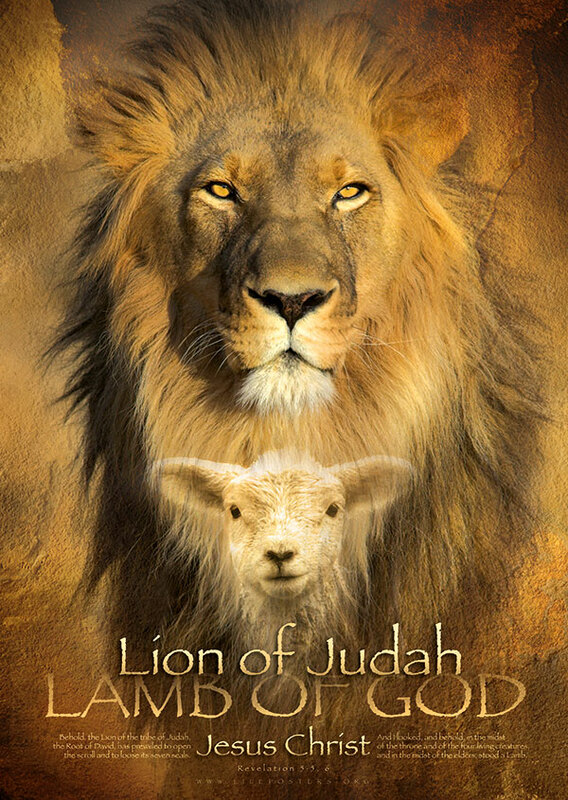 But He is also the Lion of Judah, the One who reigns forever and who has all authority in heaven and earth. 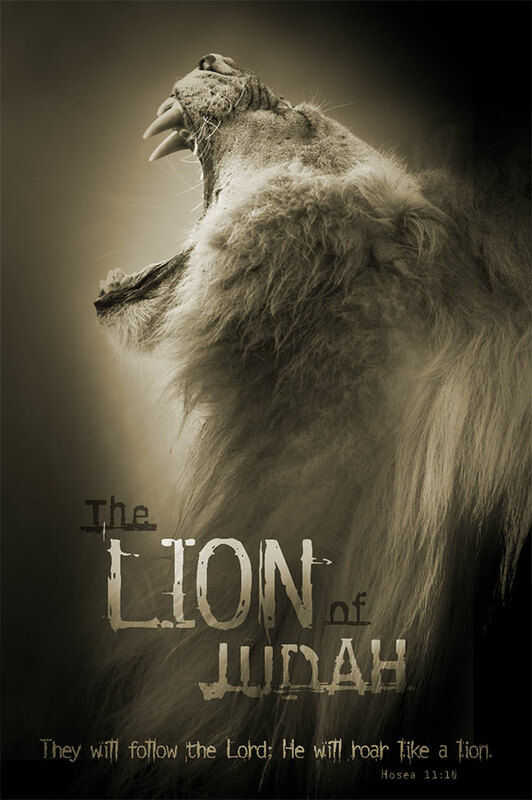 This is a second Jesus poster I created to show the Lion of Judah, whose loud roar is heard through through the voice of His true prophets. Our life with God is one big adventure, if we allow Him to lead us. Typical for an adventure is that it is sometimes very scary. God takes us to higher ground and deeper dimensions in Him and He prepares us to become carriers of His glory and power so we could bring His love to the world. This takes a lot of letting go and trusting God. This christian poster helps you let go and know that God carries you to higher dimensions in Him. Even though it is very difficult at times and we may want to go back to the save and steady ground, where we have everything under our own control, if we allow Him to lead us, then His goodness will be revealed to us in greater ways than ever before. So, no matter where God is leading you at this time in our life: TRUST GOD! 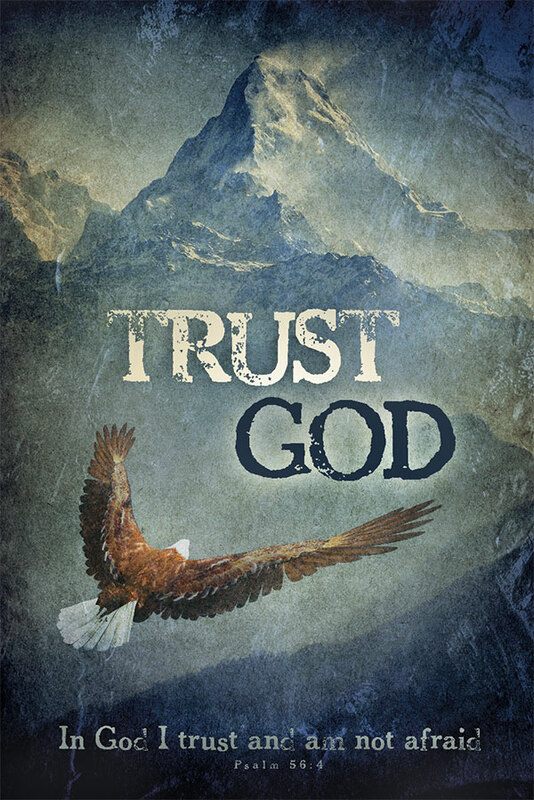 This poster can help you trust Him. Click the image to order it. On my website LifePosters.org you can see all my religious posters, designed to help you experience more of God in our life. They are not only great for personal encouragement, but they are also wonderful as a gift for friends and ideal for churches and schools. It’s my prayer that these unique and inspired posters will bring a life changing blessing to you and others who see them. Please share this page with others. Thank you!